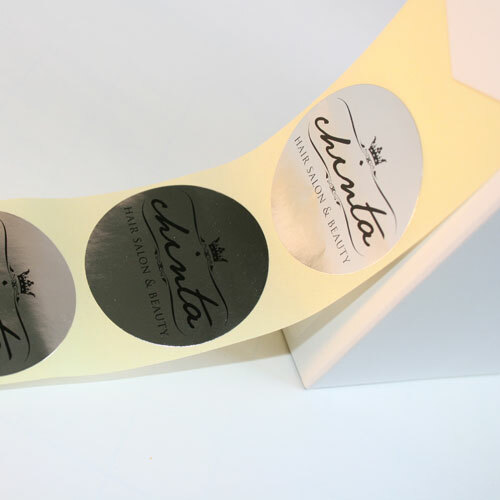 Silver labels on roll from Helloprint have a glossy metallic (silver) look because of their silver 90 grams PVC material. They have a permanent adhesive layer. 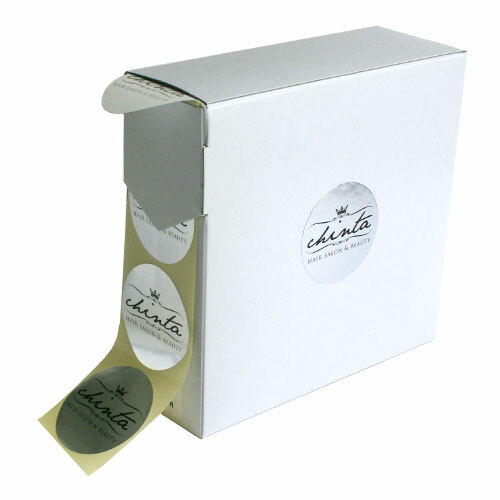 Labels on roll are supplied in a free dispenser that makes it easier to get 1 sticker out and protect them. The center of the roll is 76mm diameter. 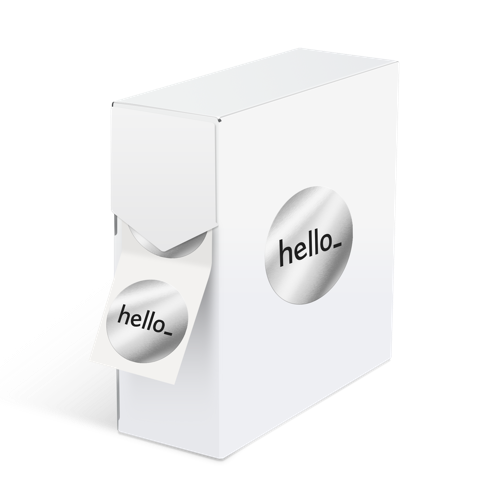 All square and rectangle stickers/labels on roll have rounded corners (radius 2mm). Are silver labels on roll fit for usage outside? How many stickers fit in a box/dispenser? Silver labels on roll are comparable to stickers. The difference is that labels are produced on a roll and not as seperate stickers making them easier to dispense and utlilise. 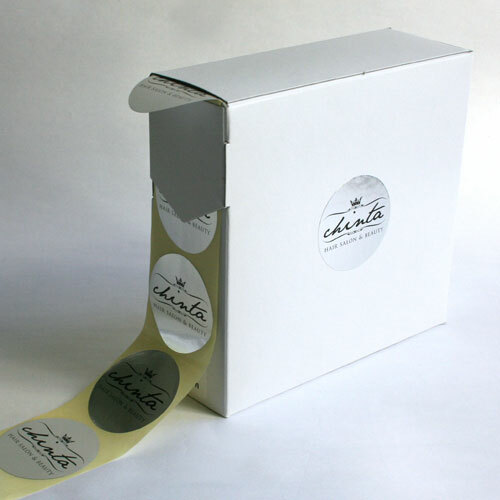 Labels on roll are often use when you need to label different items in a short period of time. 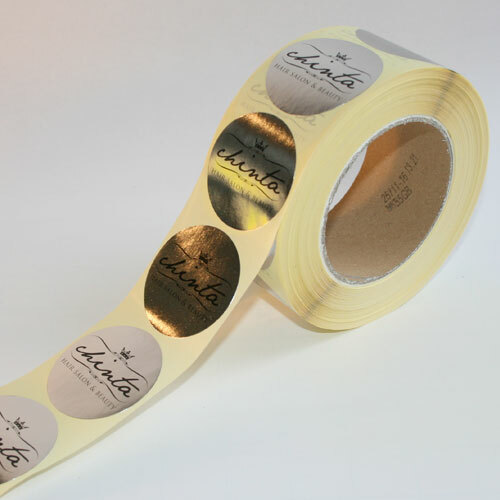 For the delivery of your silver labels on roll we use multiple carriers. Because of the highest reliability, in most cases we use UPS or DPD.